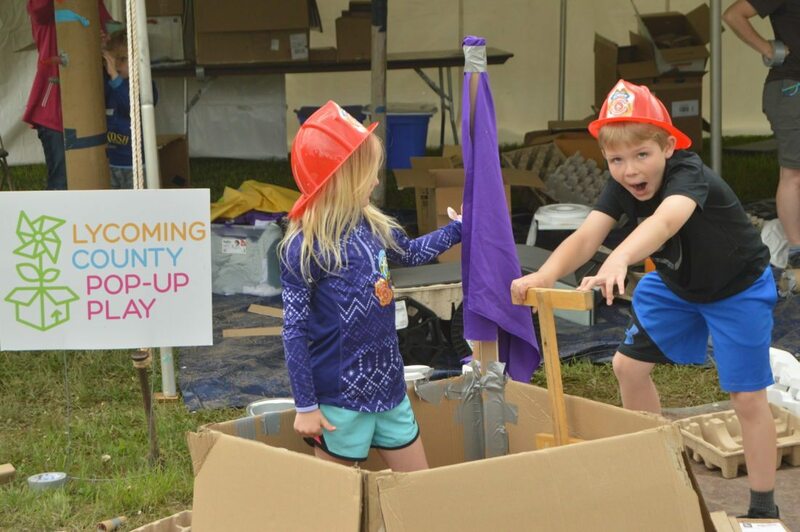 PAT CROSSLEY/Sun-Gazette Lucas Perrin and Dahlia Farley play in their creation made from recycled materials in the pop-up play area at the Rider Park open house Sunday afternoon. Didn’t get your tall grass cut on Sunday? You’ll have more chances this week to get your lawn mowed because sunny skies are in the forecast, according to Craig Evanego, a meteorologist with the National Weather Service in State College. “The first 19 days of this month have definitely been wet. On average, Williamsport receives 3.36 inches of rain in May even since records have been kept since 1895. So far this month we have received almost five inches, 4.94 to be exact,” Evanego said. The region received 6.1 inches for the whole month last year, “but May 2016 was a dry month. We only had 2.2 inches of rain for that month,” he added. 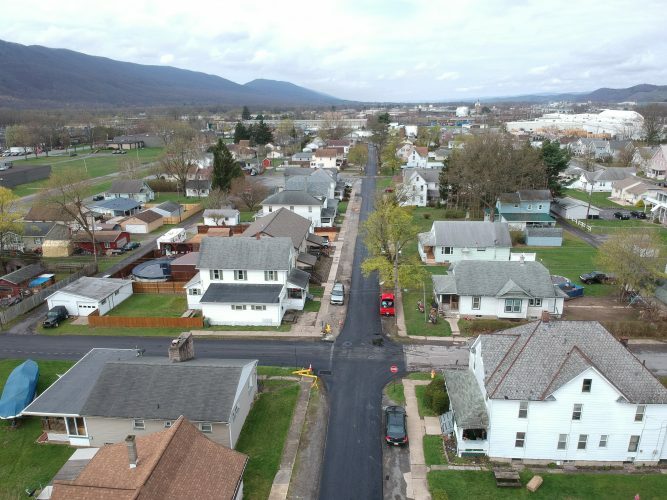 “Williamsport received measurable rainfall eight of the last nine days, through Saturday; by measurable we mean enough rain to wet the ground,” Evanego said. “The rain we’ve had was a persistent pattern of moisture off the Gulf of Mexico and the western Atlantic,” he said. However, sunny days are ahead, literally. Today, like Sunday, will be another dry day. “There will be patches of fog in the morning, but it will be mostly sunny with the high in the 70s,” Evanego said. Don’t put the umbrella away just yet. “More showers and some thunderstorms are expected Tuesday. However, it will be dry for the rest of the workweek. It will be sunny Wednesday, Thursday and Friday, with the high being in the 80s by the end of the week,” he said. “This week looks a lot dryer than last, except for Tuesday,” Evanego said. Overnight lows throughout the week will be very comfortable in the low 50s, he said. Will the sun stay with us for the upcoming holiday weekend? Don’t bet on it. “Showers may come back on Saturday,” Evanego said.